The 25th of December 1922 was a very important date in Mongolian history. It was the day that the first government-operated coal mine at Nalaikh was re-opened. This was the birth of industrial mining, with all its ancillary industries, but also the birth of the town of Nalaikh and of the Mongolian proletariate. The 100th anniversary of this momentous occasion should be celebrated. We suggest that the celebration focus on the creation of a multi-disciplinary mining museum and education centre in Nalaikh! It would be a centre of excellence for sharing Mongolia’s past and current experience with mining, educating the public on the importance of mining in the country’s development, and the example of linking mining activities with community development and tourism. People, who worked and lived in Nalaikh during the socialist period, have lots of memories to share with new generations – to talk about the Nalaikh mine, railroad, power plant, Mongolian-Soviet military bases, glass factory, 14th transportation company, mining vocational school, military sewing company, etc. Many may have artifacts – ranging from photos, equipment, and to all types of mementos from the socialist period. Unless we save these artifacts before they disappear and capture oral histories, all would be gone in next 5 to 10 years. Public mining education has largely been missing from Mongolia. There have been some limited projects to bring knowledge about the mining industry to specific audiences, but there has never been a large-scale effort funded by the government or the mining industry to familiarize the Mongolian public with the basis for and operations of the industry that is coming to dominate the Mongolian economy. 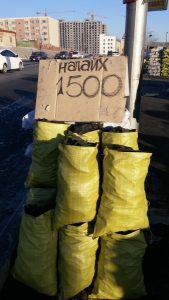 While a Nalaikh mining education centre would not substitute for broad public education, it could target the Ulaanbaatar-area public at least, and could serve as a think tank for the development of wider campaigns or the introduction of knowledge about mining into school curricula, for example. There currently is no education centre that explains how mining (both industrial and artisanal) work to the Mongolian public. Except a very few curious mining students, no one might be interested in going to Nalaikh, the very first mine of Mongolia, which is within 35-40 kms from the capital city. 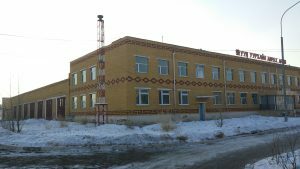 The Mining School of the Mongolian University of Science and Technology still does not have an educational centre, where mining students run experiments, learn about the country’s mining industrial history, and discuss implications of policy failures (not having a proper mine closure plan, for example, in the Nalaikh case). A mining education centre at Nalaikh could target different audiences. Initially, it might serve as a destination for school-aged children from around the Ulaanbaatar region. It might also attract families to visit, especially during vacation, and foreign visitors might come as well. Then it could serve as a centre of excellence in mining education that could be involved in the drafting of materials to contribute to public education, or for inclusion in school-based teaching. The Mongolian military is slowly taking over and maintaining the old military bases, but still do not know what to do with old Soviet planes and equipment. There is a small, albeit growing activities, originating from Russia. For example, Russian Legend Tour company offerring tours for many, who served and lived in Mongolia, to visit Nalaikh. Successful business and political entrepreuners from Nalaikh would hopefully make commitment to re-build the memory of Nalaikh – which would narrate the history of the industrial mining and ups and downs of the Nalaikh coal mine. If the Nalaikh mine could successfully restored its past and becomes the part of the sustainable mining (the mine still possesses 2/3 of its deposits) and tourism, it would be the most visible ones. It is right under everybody’s nose – as the district of Ulaanbaatar. The historical accounts indicated that Nalaikh was one of the few mines, operated in Mongolia. The Nalaikh coal mine was run by four Russian managers, 80 Chinese workers, and Mongolian horse-cart transporters. From 1915 to 1922, the mine provided coal for the capital city settlers as well as royalties to the Bogd Khaan’s treasury. The state took over the mine in December 1922. Mongolian socialism faced an even greater theoretical hurdle in Marx’ prediction of a succession from feudalism to capitalism to socialism. Well, there had been no capitalism to speak of in Mongolia prior to the revolution, much less than even in Russia. No capitalism = no industry = no working class. Nalaikh became as meaningful a project to the foundation of socialism as Erdenet later did to its modernization. The Nalaikh Coal Mine emerged as Mongolia’s first industrial site of any kind. But Nalaikh had other big implications. Its coal heated Ulaanbaatar and made the settlement, construction, and growth of the capital possible. For example, in February 1939, the first power station (2500 kw) was built in Ulaanbaatar. This resulted in building the first-ever railway (narrow-gauge) between Nalaikh and Ulaanbaatar in 1938 to deliver the coal for the first power station. Looking back at Nalaikh coal mining today, it is also very significant as it was a milestone in the development of a resource economy. Yes, there were mining activities before then, of course, but Nalaikh was the first industrial scale mining, and thus presaged the future of Mongolia as an emerging mining economy in the 21st century. The coal mine was further expanded in 1947 to fuel newly established light industry in Ulaanbaatar and first-ever government and residential buildings. By 1947, there were 700 employees and the annual production reached 246,200 ton. To meet growing demand for coal, the Soviet Union provided extensive assistance (169 million tugrug) to modernize the coal mine to the highest standard of that time. With the Soviet assistance, 200 Soviet specialists worked in 1954-1958 and trained over 200 Mongolian specialists in the Soviet Union between 1956 and 1966. As a result, Nalaikh became the first mechanized, underground coal mine in Mongolia. Many early mining engineers were first trained and employed at Nalaikh given its central status to industrialization and to Ulaanbaatar. Since all other new coal mines, especially in connection with urbanization as well as construction of provincial centres, came after Nalaikh, it is not surprising that most of local mining specialists began their careers in Nalaikh. 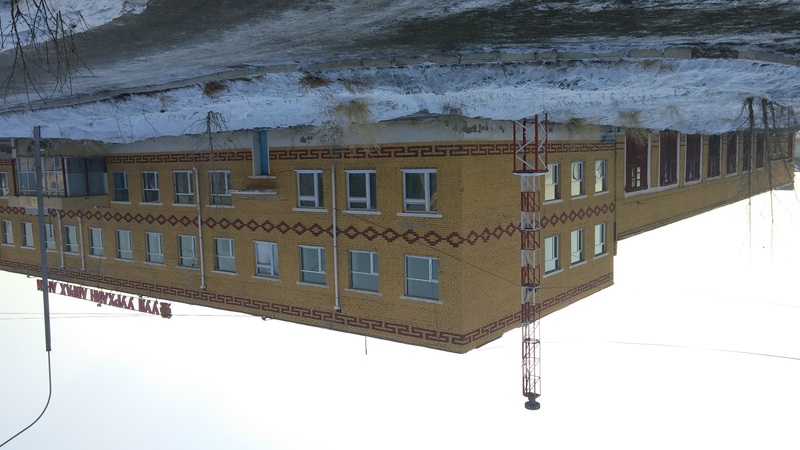 At the same time, the mining vocational school in Nalaikh was the first and largest to meet the rising demand at the 1970s -80s for mining specialists. Nalaikh demonstrated another interesting facts of Mongolian ethnic groups, especially the Kazakh minority. The expansion and modernization of Nalaikh mine had required over 1500 miners; as a result, the government encouraged in bringing more workers Western provinces, including Bayan-Ulgii, a muslim-dominated province. As a result, Nalaikh gained a substantial muslim population, which had two separate Kazakh khoroo (sub-administrative unit) and Kazakh-secondary school. This pattern was replicated in many later mines, including Erdenet. All have substantial number of Kazakh workers and culturally distinct communities. Later on, Nalaikh gained significance as a location for a Soviet air base following the Sino-Soviet tension in 1960s. Nalaikh hosted the largest Soviet-Mongolian airbase, equipped with the fleet of MiG 21, supersonic inceptor-fighter jets, and several M-24 combat helocopter squadron. The Soviet military positioned extensive radar units in surrounding Nalaikh, with a central HQ at the outskirt of the city, while Soviet-Mongolian military logistical units were hiding at several key locations. For many Soviets, Nalaikh was one of the largest military base in Mongolia, where family members were allowed to accompany. 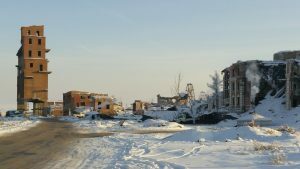 Therefore, two separate military-family housing town (with Soviet-style high-rise complexes), secondary school, medical facility, and shopping centres were built in Nalaikh. And, finally, in terms of its historical significance, Nalaikh has become a symbol of the post-1990 collapse of state enterprises and its most dire consequences with slumification and ninja mining. According to the district authority, about 1,200-1,500 people (depending on the coal demand) have been engaged in artisanal mining activities while many others making their living by selling or transporting the coal. Nalaikh is now considered the world’s most dangerous underground coal mining site, as reported in the International Business Times. As reported by the mining rescue unit, 198 people died from the artisanal mining activity since the state abandoned mine in 1992. The mining rescue unit saved over 600 people during this period. Just to take a look at the last few years statistics, the mining rescue unit responded to 16 accidents in 2014 (5 died, 35 rescued), 8 in 2015 (8 died, 23 rescued), 9 in 2016 (11 died, 13 rescued), and 17 in 2017 (5 died, 32 rescued). We see a number of opportunities linked to the Nalaikh site. 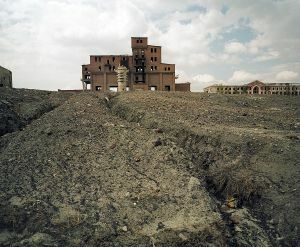 There are two significant buildings that are in ruins, but remain at the coal mine site, the administrative building and part of the old processing plant. The administrative building is in significantly worse shape than the photo below suggests, however. 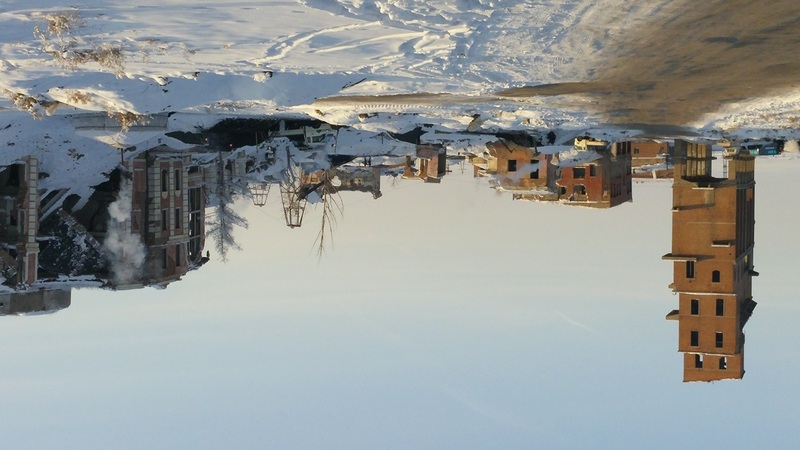 The remains of the factory can be seen here, and in many other photos from Nalaikh. While these buildings are in disrepair and may even be beyond repair, they do hold the promise of a site that includes original buildings. 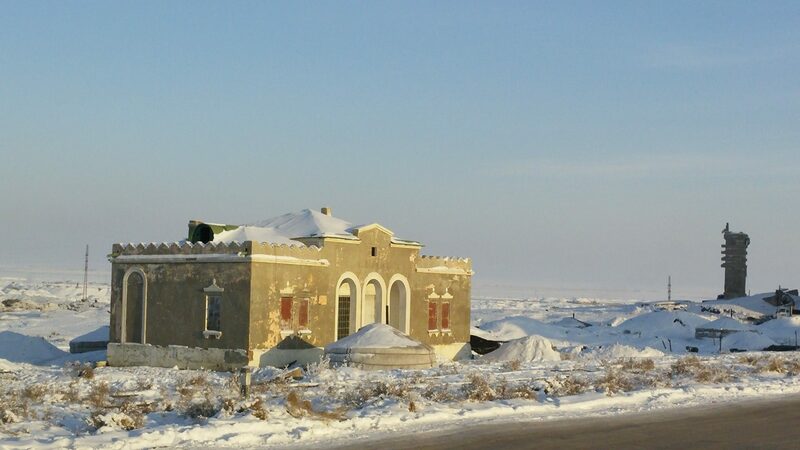 Another interesting historical building, the Nalaikh railway station, which could be sentimental to many, including families of Soviet military personnel, who rode the train from Ulaanbaatar to Nalaikh. Whenever the weather acted badly, the train had been the most convenient transportation to the next closest station in Khonkhor, where passengers got on trains – travelling on the trans-Mongolian railway between south and north – or just going to Ulaanbaatar. The train did provide convenient travelling with several stops all throughout the capital city. 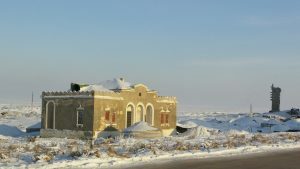 For many, this prototype socialist period railway station could easily demonstrate the history of the Mongolian railway – along with one stationary locomotive and one passenger train restaurant could bring the memory of the railroad in 1950s, 1970s and 1980s. There is a significant number of mining museums around the world that would provide examples of exhibits, curatorial and pedagogical approaches, etc. For us, based in Vancouver, the Brittania Mine Museum is closest, but there are other examples of such museums in =Australia, Europe and North America, possibly even beyond. In many locations, these museums have been built on decommissioned mines as we are proposing for Nalaikh, suggesting that this is a viable opportunity. Finally, we see a Nalaikh Mining Museum and Education Centre as an opportunity for community development in Nalaikh. Planning would emphasize re-training opportunities for miners still active in the area (those with licenses, as those who may be mining illegally), offering employment in museum and tourist infrastructure that would provide a boost for the local economy. Nalaikh could form the centre of an emerging tourism cluster built around the Chinggis statue and Terelj, requiring further infrastructure and thus also providing employment. There are numerous hurdles to the establishment of a Nalaikh Mining Museum and Education Centre. Obviously, many actors, from local and national officials to the local community would have to be consulted and invited to participate in the planning. Ultimately, the Centre might hold some promise for economic development, but few of its activities would be fee-generating and the desire to educate the public about mining activities would prohibit a fee-base for the budget of the Centre. Financial contributions would thus have to be secured from local and national governments. And, we would hope that the domestic and international mining industry may be interested in supporting such a centre. Beyond beginning to talk about this idea as we are doing here, a first step might be a feasibility study that could expand this post to include more definite plans, particularly on budget, alternative approaches, opportunities for funding and collaborations, etc. We are hoping to apply for funding from various sources to support such a feasibility study as a first step. This entry was posted in Education, Kazakhs, Mining, Museums, Nalaikh, Primary and Secondary Education and tagged Julian Dierkes; Mendee Jargalsaikhan. Bookmark the permalink.